At Homes for Students of Higher Education we believe that everyone should be afforded an equal academic opportunity and our mission is to help homeless and at-risk college students achieve their academic pursuits. We will do this by providing four primary services; charitable care packages, connecting students to community services and resources, awareness and prevention education to both students and faculty and opening a student specific shelter. At HSHE, we believe that there are many challenges facing the world in the near future, and many opportunities to be seized in the present. By assisting disadvantaged students today, we seek to help create the innovators and leaders that the challenges of tomorrow will demand. As America experiences an increase in the average age of its citizens, more than ever is expected of our youth. They will be needed to be as productive as possible. With an ever expanding national debt and the ever changing landscape of globalization, the myriad of hurdles before the nation’s youth is truly daunting. The individuals who will embody the spirit of our nation and overcome these challenges are going to need all the help they can get. However with record high tuition rates, rising housing costs, a steady increase in food and energy prices and the effects of the great recession, these future leaders are burdened with the problems of today. And if they do not succeed in defeating these obstacles, they may never be able to grasp their full potential. Having a safe place to call home is a necessary foundation for academic success. Who are these future leaders? They come from all walks of life. They come from around the world, from places ruled by strife and avarice. 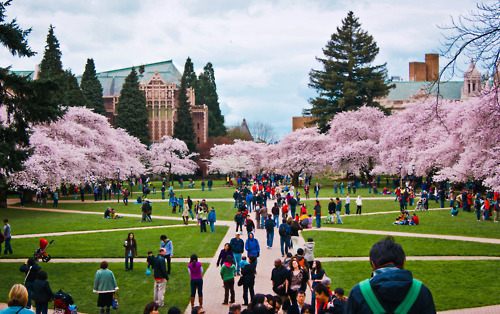 They come from up and down the great northwest seeking the quality and concentration of educational institutions that the Puget Sound area provides. They come from our own backyards, out of hard working households whose dreams have been battered by the current economic climate. Let’s invest in them. Let’s invest together in the one thing that we all share....our future.